Kurt Williams, WTKR-TV news anchor, welcomed audience members to the Virginia Beach Education Foundation’s TGIF Celebration and then asked a question. 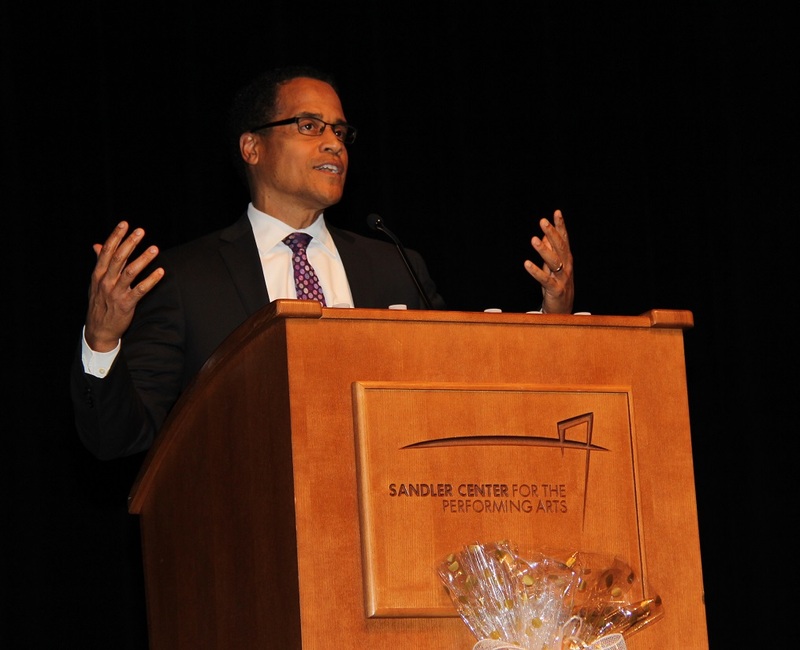 WTKR-TV news anchor Kurt Williams served as TGIF Celebration emcee. Virginia Beach City Public Schools (VBCPS) employees and community members gathered at the Sandler Center Monday, Nov. 17, to celebrate TGIF — Teacher Grants Improve Futures. 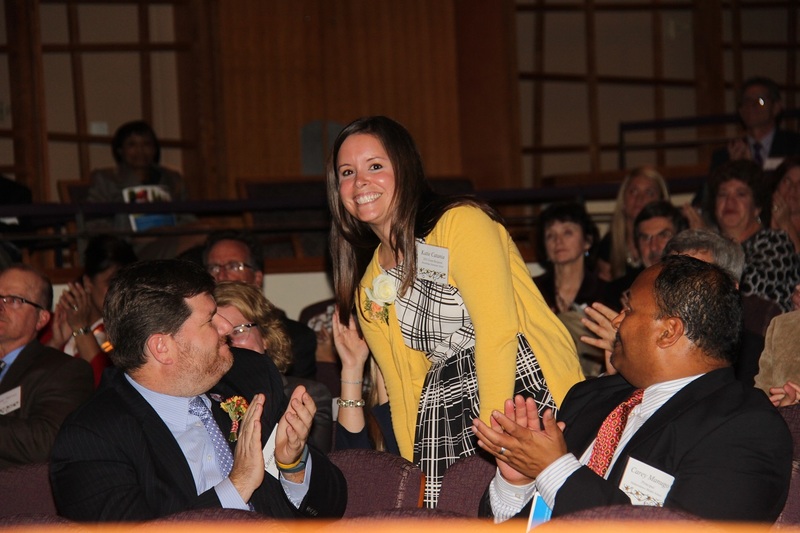 The Virginia Beach Education Foundation (VBEF) hosts the annual event to recognize the VBCPS teachers and staff who are receiving VBEF grants to support innovative projects and learning programs in their schools and classrooms. 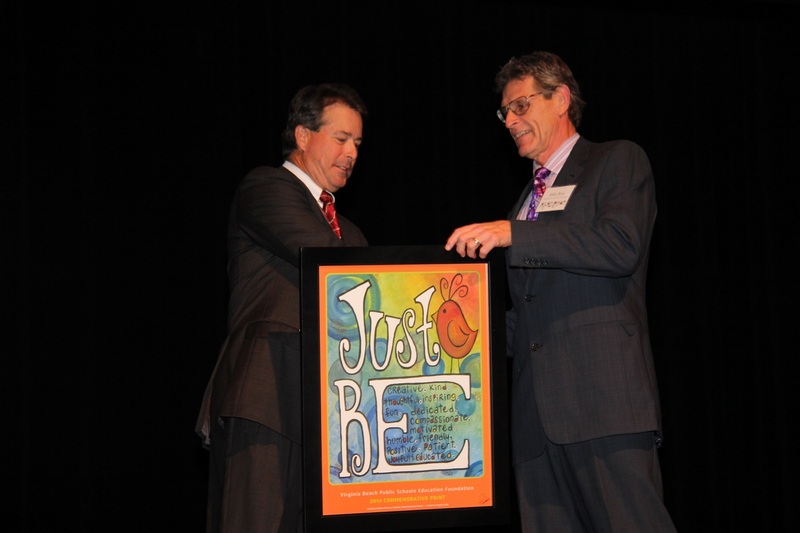 At this year’s TGIF Celebration, the VBEF awarded 59 grants to 40 schools totaling $98,000. All grants are funded through corporate underwriters and personal donations made directly to the Foundation or through United Way contributions designated for the VBEF. Over the past 10 years, the VBEF has awarded more than $1.2 million in grants to support innovative learning and achievement. VBEF President Nelson Adcock (left) thanked all event sponsors, including HBA Architects represented by Mike Ross. The VBEF’s Adopt A+ Grants program includes three types of grants: innovative learning grants, sustainability impact project grants and schoolwide grants. Innovative learning grants provide teachers with up to $2,000 for materials, supplies and expenses related to activities, experiments and inventive learning opportunities for children. VBCPS social worker Jeneshia Ferebee and Bayside 6th Grade Campus guidance counselor Rob Lanz (not pictured) received an Innovative Learning Project grant for their project “C Straight” (Underwriter: Community Leadership Partners of the Hampton Roads Community Foundation). More than 120 students from three schools in grades 5-8 will participate in activities regarding the three “Cs” – college, careers and community. 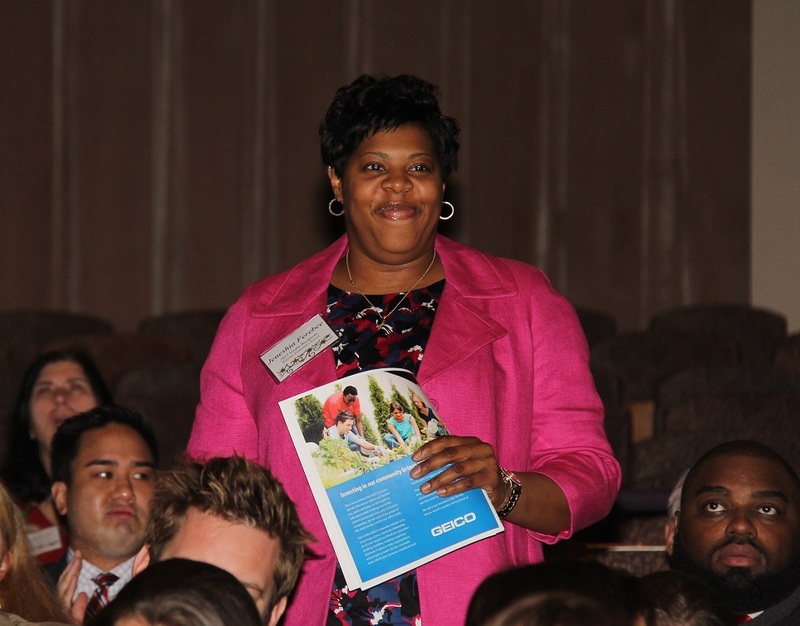 High school and college students will serve as mentors throughout the year. Sustainability impact project grants provide funding up to $1,000 to support projects that enhance student learning surrounding the social, economic and environmental impacts of the community’s waste stream on local watersheds. These grants require a partnership with TFC Recycling, Lynnhaven River Now or the Chesapeake Bay Foundation. Up to $5,000 is awarded for schoolwide grants, which are designed to support activities and programs that will benefit the entire school community. Five schools received such grants this year, with projects ranging from literacy and character development to science learning labs and STEM design challenge activities. Katie Catania, Strawbridge Elementary computer resource specialist, was awarded a Schoolwide Project grant to support students’ investigation of the causes and impacts of climate change on local and global communities. Students will assume the roles of various stakeholders to participate in activities that will foster science literacy, environmental stewardship and collaboration. The TGIF Celebration concluded with Williams’ announcement of the winning 2015 Commemorative Print. 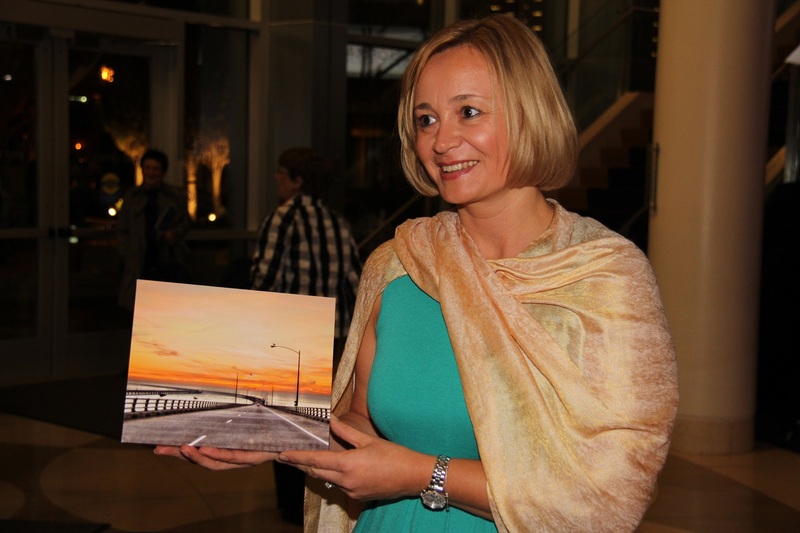 Online voters selected Angelica Thomson’s photograph The Chesapeake Bay Bridge for the new VBEF print, which will be available for purchase on the foundation’s website. Thomson is a South Eastern Cooperative Education Program (SECEP) teacher who took the picture while traveling back to Virginia Beach from the Eastern Shore during sunset. To see a detailed listing of the 2014-2015 grant recipients and underwriters as well as the TGIF Celebration sponsors, view the event program here. If you would like to make a contribution to the Foundation’s Adopt A+ Grants program or learn more about sponsorship opportunities, contact VBEF coordinator Debbie Thomas at 757-263-1069.